You may remember back in January I mused on the idea of having a large lottery win. 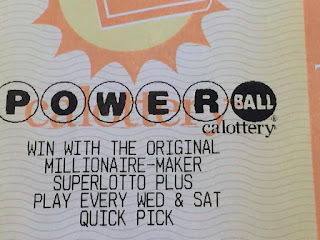 Well I did not win the Billion dollars in that drawing, though it was someone else from California who did. I am glad of that. I had left the ticket to run through its course, you see I buy my tickets for multiple draws, usually ten them. That means a tcket runs for about five weeks. 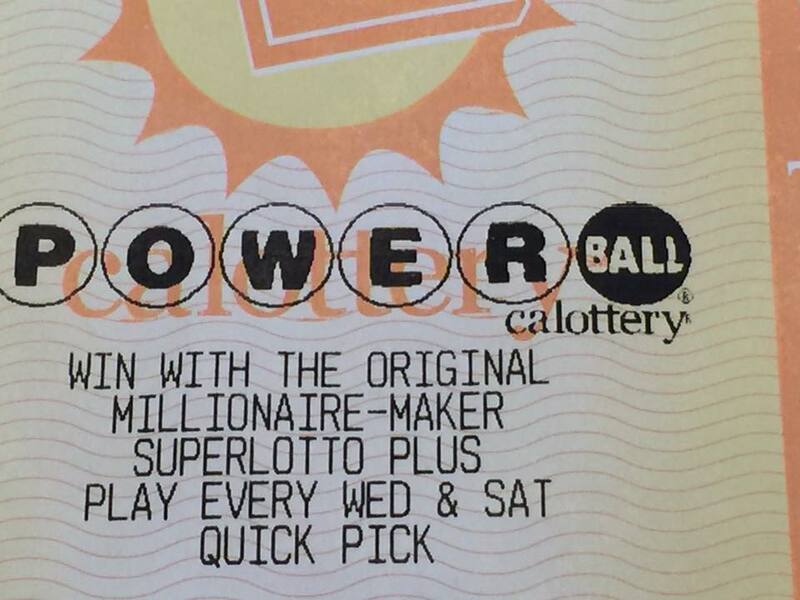 There are two Powerball draws per week. This week I forgot to take my old ticket to check at the local lottery sales counter in Save Mart Supermarkets. Well today I had to go and buy some more groceries and took my old ticket along with me. I took it to the customer service counter and asked them to check it for me. Imagine my surprise when they told me that I had won! I had actually won something. It was a very nice surprise. My winnings were only $20 but that is still a win. My initial investment was returned and it paid for some of the groceries which will feed me for part of this week. Of course you may say that it was a waste of money to buy the ticket in the first place. You may be right if that is your opinion. But in return I also get the fun of pondering the what if ...? question. The very same question which I addressed in my earlier post. 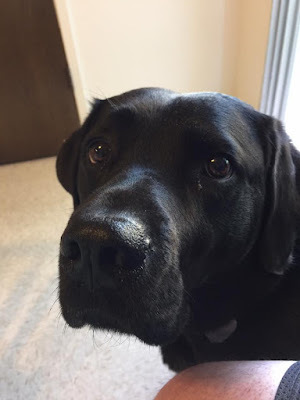 Happy Birthday to Leif, My Guide Dog. How the Blind Know What Coins they have.